Many online schools are forming and clamoring to get under whatever learning platform or umbrella they can in order to exist as an online school. As we talked about in our previous post, most of these schools operate under a corporate entity such as K12.com, which is actually a business, not a school, located in Herndon, Virginia. These entities allow schools to exist as an online school through a charter they receive from their state department and to use the technology of the corporate partner. The schools must follow certain rigorous standards of their respective education entities in order to remain accredited as a public school. This offers students who do not function as well in a normal brick-and-mortar setting to attain an education online meeting the same basic requirements as the students in a traditional setting. But what will the schools of the future look like? Some feel that, while these new online education portals are opening doors in terms of their potential for acclimating students to the technology available, they are missing the boat in terms of the ultimate changes that we are going to see in the near future as education moves forward. A well-known retired educator in the state of Arkansas asked, “If two aliens were to land on our planet and take two separate tracks to education: one, in a traditional setting with traditional coursework and liberal arts courses; the other, a more specialized skill-based course of study, which would be able to survive in our present world?" This question must be answered if we are to truly embrace the idea of the schools of the future. Not only must our platform change in terms of the fact that we are delivering our coursework in an online environment, but the basic paradigm of education must change as well. If not, current online schools are simply offering the same traditional content in another form. If we just try to take the same liberal arts-based education and take it online, we are only perpetuating the myth that a liberal arts education is enough. As we can tell from the current high rate of unemployment, it just isn’t! 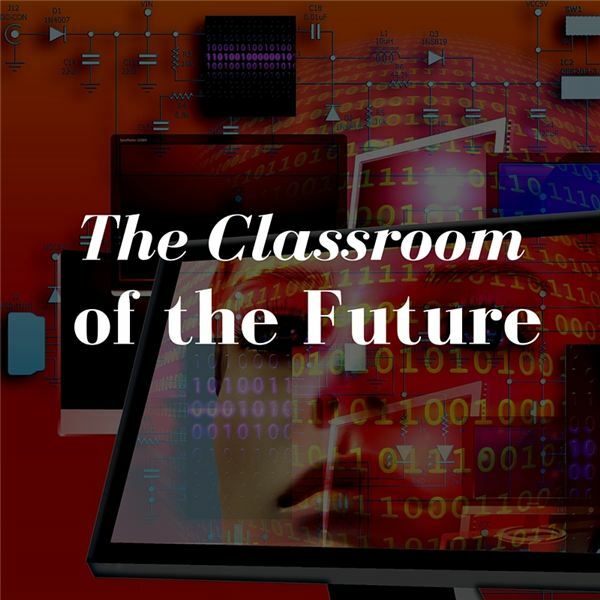 The classroom of the future will definitely be on the cutting edge of technology. It will allow students to learn at their own rates. It will focus on specialized and individualized learning. It will allow students to about things they have a real interest in, not just the mundane coursework invented in 1912. Times have changed and we have to change with it. The schools of the future will do just that. None of us can see perfectly into the future, but we can catch a glimpse of it now and then. Technology is not the change itself in education, but it is the impetus for change. More parents are concerned about their children’s well-being and academic achievement than ever before. School violence and other factors have scared some people back into their homes where they know they will be safe. The fears parents have today regarding their child’s welfare is truly understandable. Online schools have attempted to answer this problem with online education portals and home school settings that use technology as the classroom, but some, in an effort to get there first, create a sense of overkill. Many kids drop out of such programs after a year and return to regular schools due to a lack of personal connection and overload of course requirements. Teachers who are hoping to escape excessive paperwork find it compounding in the form of digital papers and files. Just as in the real world, students (and teachers) can become overwhelmed quite easily when asked to jump through too many hoops put upon them by state education systems that these school must follow to retain their charter. So, if you think online schools have it figured out. Think again. They are only halfway there.